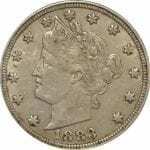 Raw (non-certified) Coins Raw coins listed on this page are collectible numismatic coins that have not been graded by a third-party grading service such as PCGS or NGC. 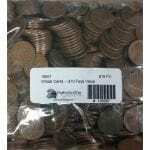 While many higher-value coins are worth having graded by PCGS or NGC, many coins are not worth having graded. Some of the reasons for leaving coins "raw" (uncertified) are: Cost: Since coin grading involves a grading and encapsulation fee charged by the grading service, as well as the cost of shipping and insuring the coins to and from the grading service, the expected benefit has to outweigh all of those costs in order for grading raw coins to make sense. 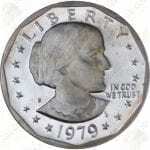 In other words, while there are no guarantees as to what grade the grading service will assign to the coins, it only makes sense to have coins graded if a professional numismatist truly believes there's a good chance they will grade high enough to increase their value more than enough to offset all the costs of having them graded. "The Obvious": Even if a coin is fairly valuable, like $300 or even $3,000, if anyone reasonably knowledgeable about coins can look at it and know that it's in "no question" Very Fine condition, for example, there's really no point in paying a grading service to tell you it's a Very Fine coin -- anyone who's fairly knowledgeable can look at it and know that. Even if there's a big jump in value in the next grade up (Extremely Fine), if any knowledgeable coin collector can tell it's no better than a Very Fine coin, then it's not worth paying the cost of having it graded. On the other hand, if a coin is no-question in brand-new, mint condition with only a few surface imperfections, and if the value jumps significantly between, say, MS63, MS64 and MS65, then that coin would likely be worth getting graded since there's a significant jump in value if the coin "makes the grade". Cost: Since coin grading involves a grading and encapsulation fee charged by the grading service, as well as the cost of shipping and insuring the coins to and from the grading service, the expected benefit has to outweigh all of those costs in order for grading raw coins to make sense. 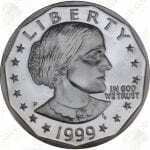 In other words, while there are no guarantees as to what grade the grading service will assign to the coins, it only makes sense to have coins graded if a professional numismatist truly believes there’s a good chance they will grade high enough to increase their value more than enough to offset all the costs of having them graded. 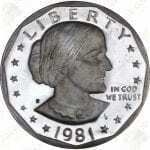 “The Obvious”: Even if a coin is fairly valuable, like $300 or even $3,000, if anyone reasonably knowledgeable about coins can look at it and know that it’s in “no question” Very Fine condition, for example, there’s really no point in paying a grading service to tell you it’s a Very Fine coin — anyone who’s fairly knowledgeable can look at it and know that. Even if there’s a big jump in value in the next grade up (Extremely Fine), if any knowledgeable coin collector can tell it’s no better than a Very Fine coin, then it’s not worth paying the cost of having it graded. On the other hand, if a coin is no-question in brand-new, mint condition with only a few surface imperfections, and if the value jumps significantly between, say, MS63, MS64 and MS65, then that coin would likely be worth getting graded since there’s a significant jump in value if the coin “makes the grade”.